Hello! It's May and Spring has finally sprung! In honor of Cinco de Mayo a tasty Margarita made the top of my list! 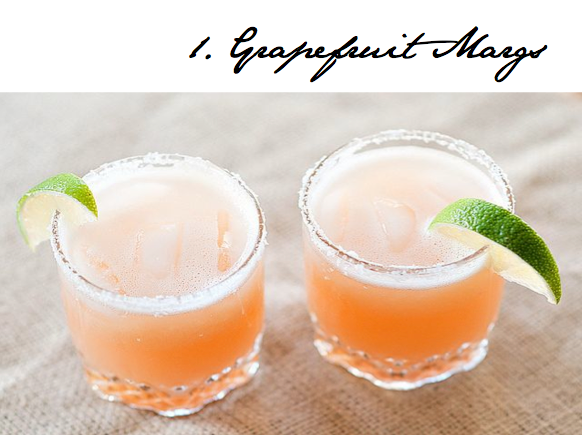 Ever since I had a white grapefruit version last week at James Beach, all I can think about is this paired with a sunset! Can't wait for summery drinks this year (despite the fact that I drink pimm's, mojitos, margs and gimlets all year round). According to Los Angeles weather the season has started. This statement is backed by the fact that the Bungalow took its tent down; who really needs four seasons? 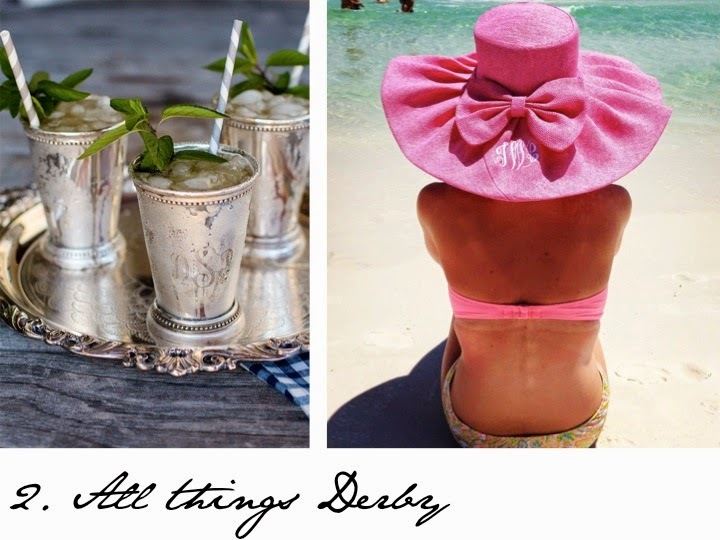 The Kentucky Derby took place this weekend and so did an awesome Derby Day party I was lucky to attend! My friend and I made our own Derby hats with ribbon, flowers, and pearls. Of course we were some of the few wearing hats, but hey, this is LA! Hopefully I will make it to the real deal one year but until then I will have to continue perfecting my milliner skills; and learn to make better racing bets! 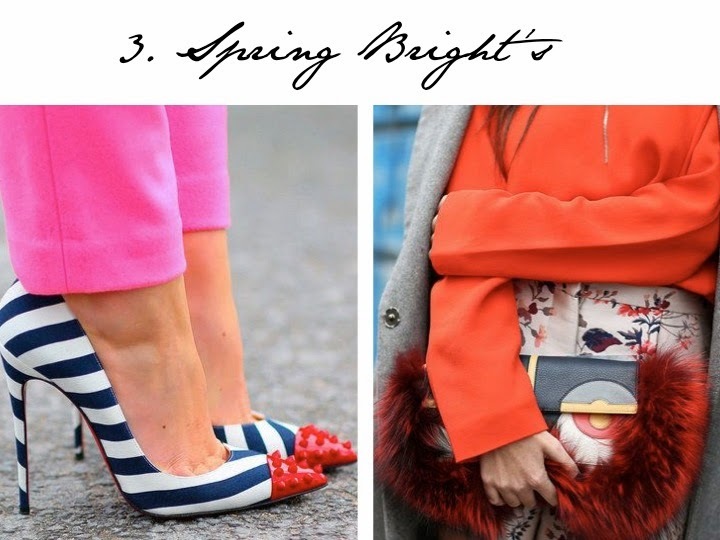 Love these bright combinations! I really try to wear color all year round, but in small doses; Spring/Summer is really the only time you can get away with so many patterns and mixing neons in one outfit; so make it count! It's hard to say if I would actually want a room just like this one (above) but for some reason I am obsessed! The saturation contrast is so nicely done here! 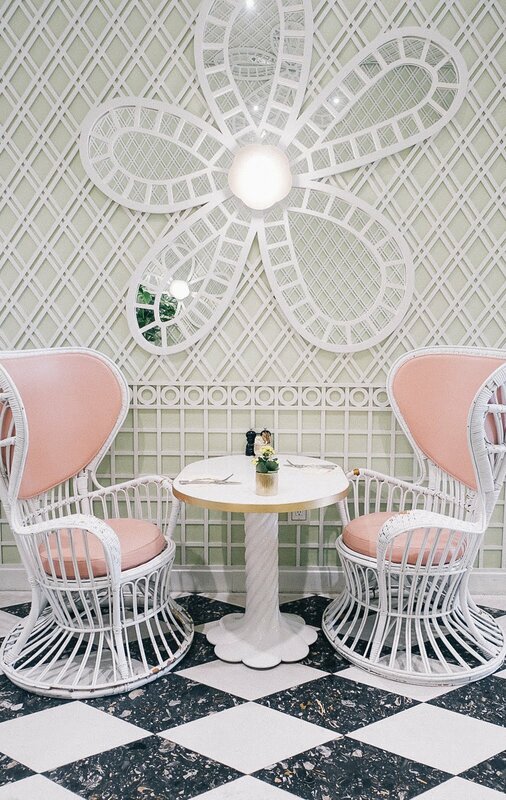 I especially love the really light violet paint they choose for the wall because it ties everything together. 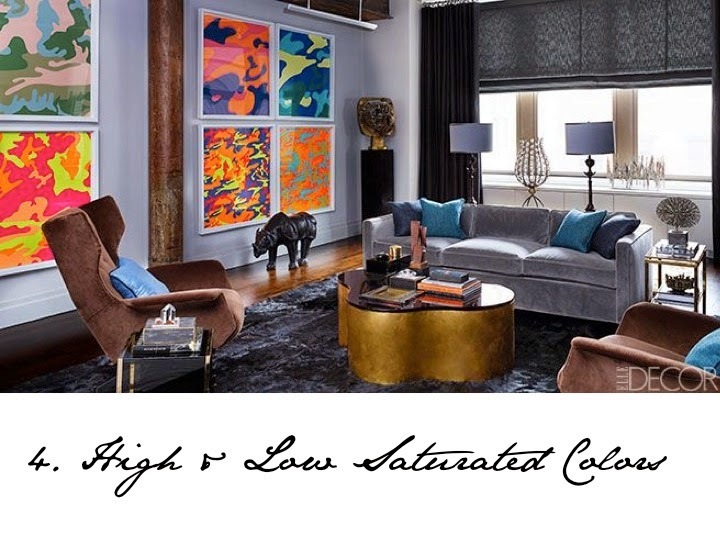 White walls may have made the art look too bold and the rest of the furniture with grey/purple undertones would have looked so drab. Love this! I have always loved stationary, snail mail, thank you letters, and attention to all detail. This place is just simply ADORABLE! I recently bought some cute coasters as a hostess gift for a friend and they had "Cheers" written in a pretty cursive script on them, how cute? Mother's Day is quickly approaching and I know I appreciate pretty cards I can keep in box to look back on, hope she does too! 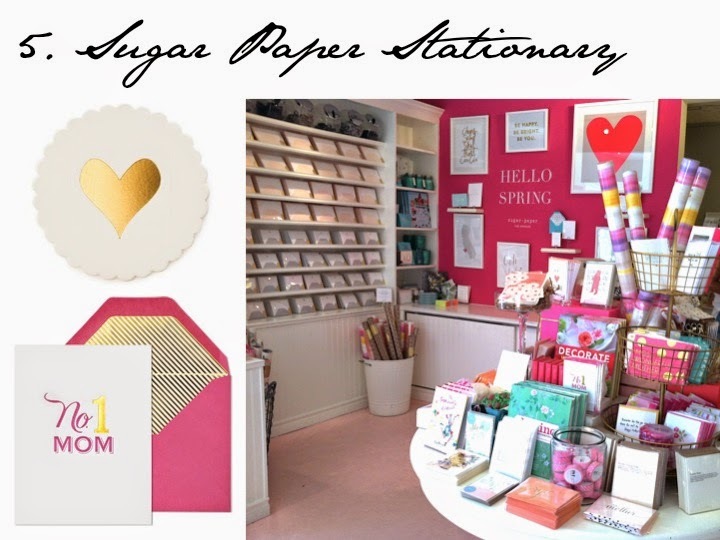 If you are ever in the Brentwood Country Mart, make sure to stop by this one and only Sugar Paper Store, otherwise look for the logo, they sell in lots of stationary shops like Papyrus and Paper Source!